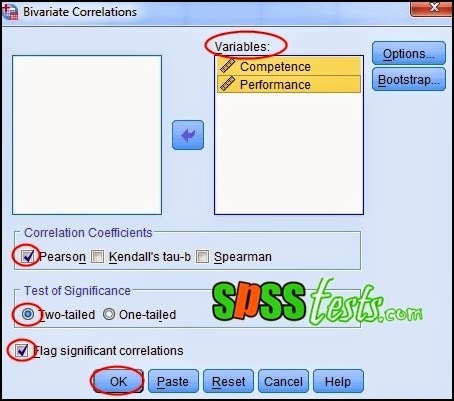 Correlation Pearson Product Moment Using SPSS | Correlation test used to determine the level of the relationship between the study variables. Pearson Product Moment Correlation suitable for research data in the form of a ratio. Pearson Product Moment correlation test can produce a correlation coefficient that shows: the relationship, the degree of relationship, and the direction of the relationship (positive or negative). If the Sig. <0.05, then there is a significant relationship between the variables of the study. If the Sig. > 0.05, then there is no significant relationship between the variables of the study. Value Pearson Correlation 0.00 to 0.20, meaning almost no correlation. Value Pearson Correlation 0.21 to 0.40, meaning a low correlation. Value Pearson Correlation 0.41 to 0.60, meaning that the correlation being. Value Pearson Correlation 0.61 to 0.80, meaning that a high correlation. Value Pearson Correlation 0.81 to 1.00, meaning that perfect correlation. A company manager wants to know whether there is a relationship between competences significant with Employee Performance. 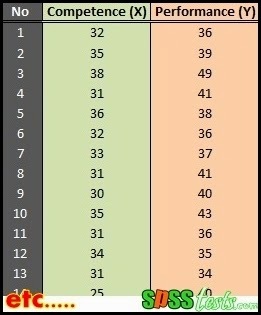 For the manager of the collected data Competence and Performance of 40 samples of employees. The research data as shown below. 2. 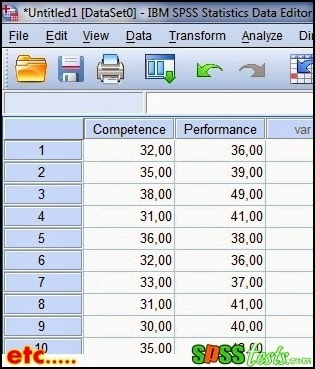 The next step, click the Data View and enter the data Competency and Performance. Based Output Correlations obtained sig. (2-tailed) of 0.000 <0.05, it can be concluded that there is a significant relationship between competence with Employee Performance. In addition, Pearson correlation values obtained for 0,692, so it can be said that the competence correlated with high employee performance. 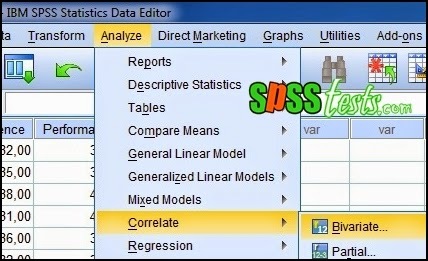 6 Responses to "Correlation Pearson Product Moment Using SPSS"
I have a question can I ask here.